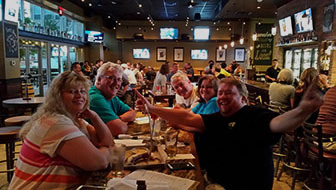 Well the closing bell has sounded and we have just wrapped up our Trivia League. At this point, even I don’t know who will qualify for the PubGuys League Championship Game. But I can tell you that there will be one and that one of you will be walking away with hundreds of dollars as a result. Stay tuned for more announcements. WE WILL HAVE TRIVIA next week at the World of Beer Fort Worth, so ditch the in-laws, or bring them, and lets have some effing fun. Congrats to the winners, you know who you are… if not, look below.